Outside of Psychonauts, Costume Quest is the Double Fine that gets the most sequel requests from fans. That should make Costume Quest 2 a no-brainer, but as I learned today, it was shelved for years before finally going into production. The story was written right after Costume Quest was completed in 2010, but Double Fine couldn't find a publisher that was interested (and original publisher THQ was a bit busy imploding at the time). Enter Midnight City, which announced earlier this year that it would be publishing Double Fine's first ever sequel--a sequel that, by the looks of things, will give fans more of what they want with a few new twists. 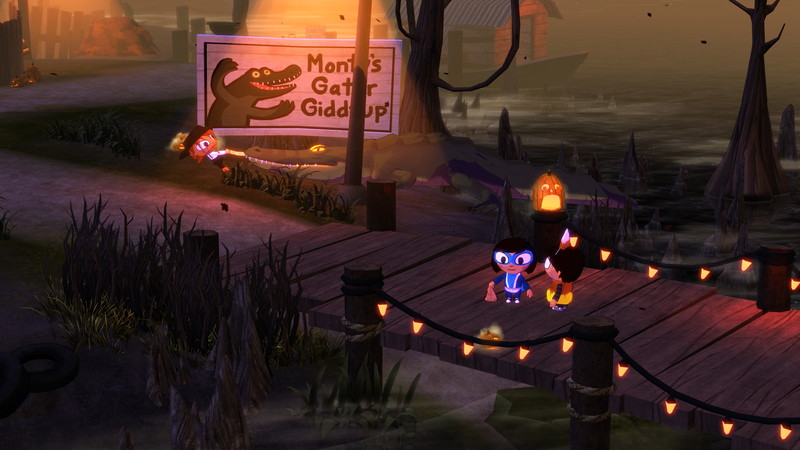 Costume Quest 2 picks up where the Grubbins on Ice left off, and takes twins Wren and Reynolds from the suburb of Auburn Pines to a swampy, gator-filled bayou. As Midnight City's John Kopp demonstrated a build of the game, I got a look at two new costumes: superhero and candy corn. As the party tried to find the pieces for a third costume, I noticed the kids were speeding around quickly. Unlike Costume Quest, which only had speed built into one costume, all of them now give the kids a speed boost. This is to encourage experimentation and variety--there's no need to stick with the robot now. After grabbing a foam ball, rainbow wig, and squeaky horn, the party was able to make a clown costume. As Costume Quest fans know, these costumes are more than cosmetic; they determine each character's abilities in battle. While trick or treating, you might get candy, or you might get a random encounter. There are several times during the demo that I straight-up giggled, and the first was seeing the candy corn costume in battle: it is literally just a giant, single piece of candy corn. Oh, and it doesn't attack; it just makes wisecracks while the other two characters fight. So why have a non-fighting costume? To add challenge to the game, Kopp explained. The developers wanted to keep the same straightforward combat as the first game, which was really accessible, if a bit on the easy side. Having one character that doesn't actually contribute to the battle effort provides an extra hardship for those looking for it, allowing Double Fine to please both kinds of fans. 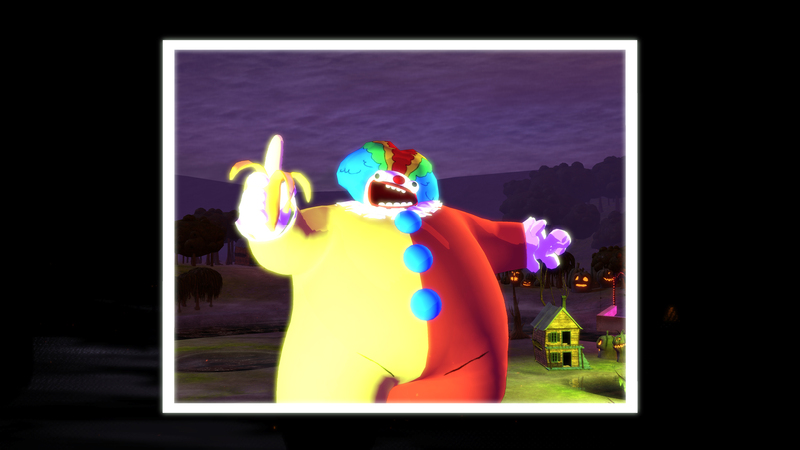 Each costume also comes with its own special move; the clown's, for example, is called Laughter is the Best Medicine. It involves that character slipping on a banana peel, with the chuckles that follow replenishing the party's health. Oh, and speaking of health, it's persistent in Costume Quest 2, meaning it doesn't automatically replenish at the end of battle. The party of trick-or-treaters will have to find water fountains around the bayou and French Quarter to get their HP back, upping the challenge level ever so slightly. With Costume Quest 2 coming to the Xbox One and PS4 (as well as Xbox 360, PS3, Wii U, PC, Mac, and Linux), there was a visual improvement as well. 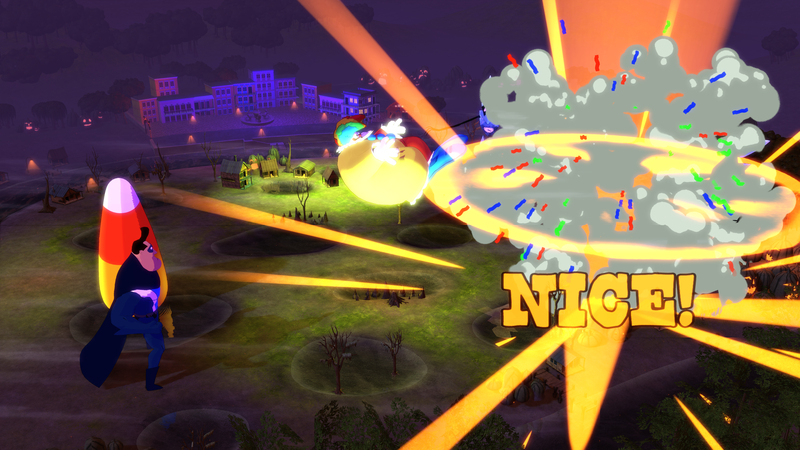 Areas are much larger and more detailed, with a map letting the player know which houses have been hit and which ones still potentially have candy. There are side quests a-plenty, and the humor and attention to detail that made Costume Quest stand out is ever-present in its sequel. 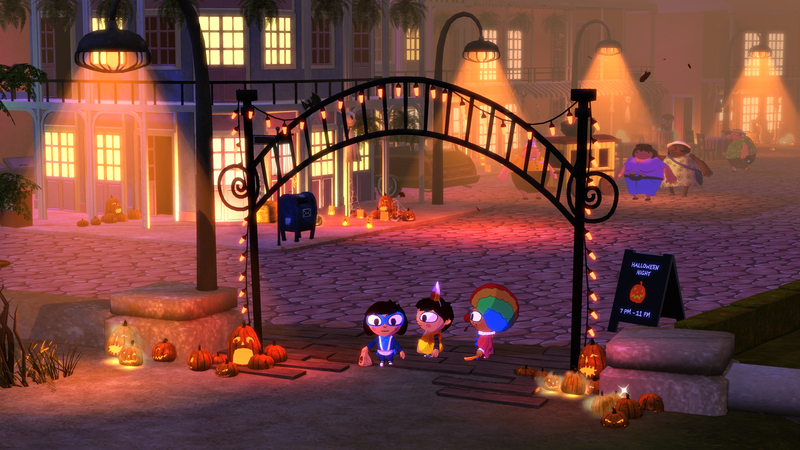 Kopp wouldn't comment on Costume Quest 2's plot, saying that more details would be coming next month. The enemy seen in the demo, called a Krony, has a clock in its abdomen, and time seems to be related to the story somehow (one Korny mentions being able to control time during a trick-or-treat session). 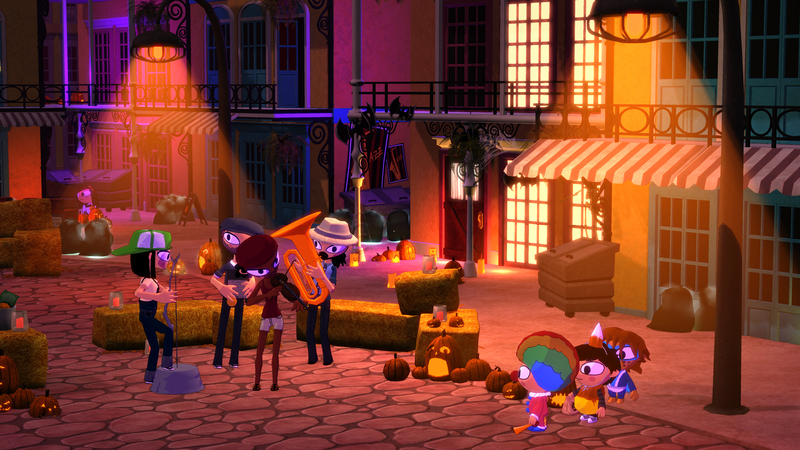 Even though it wasn't playable this week, Costume Quest 2 seems set to make its October release date--in fact, it's ahead of schedule, which is the first time I've ever heard a publisher say that. 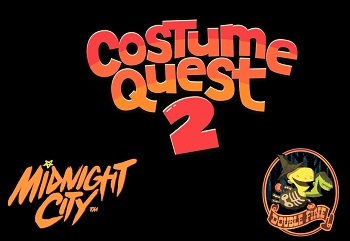 When asked if there was any added pressure because Costume Quest 2 is Double Fine's first sequel, Kopp said not really; there's just a lot of excitement from fans, and both Double Fine and Midnight City want to live up to their expectations. Kopp described it as more of what fans wanted from Costume Quest with additions made from their feedback, which lined up with the small slice of the game I saw today. If everything goes according to plan, it will be a joy to spend Halloween with Wren and Reynold once again.